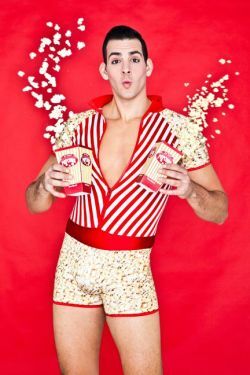 Mr. Gorgeous has been charming audiences around the globe since 2009, with his comedic and charismatic approach to contemporary burlesque. He has become a frequent persona in NYC nightlife, working several iconic venues including The Slipper Room, The Box NYC, and Galapagos Art Space. Gorgeous has had the opportunity to perform in Dita Von Teese’s touring show “Strip Strip Hooray” and was awarded “Most Comedic “at the Burlesque Hall of Fame in Las Vegas in 2013. Most recently, he was named “Mr. Exotic World – King of Boylesque 2014”.